Ariens 51001500 Professional Shear Pins 3pk. 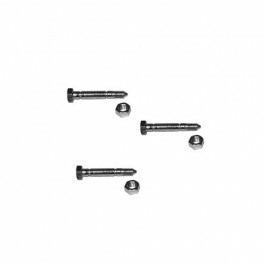 The Ariens Shear Bolts Kit is designed with detailed specifications to fit our Sno-Thro units. These material, process and dimensional specifications ensure high uniformity and accuracy so the shear bolts rupture at the designed load limits every time.